Render of one of Installation 05's Sentinel manufacturing facilities. Sentinel manufacturing facilities are factories that manufacture the various types of Forerunner Sentinel automatons. The appearances and sizes of these facilities vary greatly depending on their location. The Ark's Sentinel factories are linked to the installation's Sentinel defense network. When war-chief Voridus of the Banished disabled the network, it could not produce Sentinels, resulting in the Flood clogging many of the production facilities with biomass. The Banished cleared one of the main production facilities, enabling them to call in a Retriever Sentinel in order to defeat a proto-Gravemind. The Sentinel factories seen on Installation 05 were massive, floating structures that hovered above the Halo ring's surface in an attempt to keep them somewhat safe from the majority of ground-based Flood forms in the event of a major outbreak. These facilities were used during the Flood outbreak on Installation 05, and could be seen in the sky above the quarantine zone around the installation's Library. One of these facilities was destroyed by Flood-captured Wraiths during the Battle of the Quarantine Zone. Its wreckage was later traversed by Arbiter Thel 'Vadam on his way to the Library. The shield world Onyx contained a massive Sentinel factory located underneath a volcanic caldera in its north pole, which produced the huge number of specialized Onyx Sentinels that made up the artificial planet's superstructure. The facility was so large that the arc of the planet's curve could be seen in the distance. The Sentinels in this facility were constructed out of molten ore spewed from a massive machine, which cascaded into a hollow tower. From the bottom of this tower tumbled millions of Sentinel components, which then were ferried to another part of the factory by energy beams. As they traveled, they assembled themselves into the three-meter long "booms" of the Onyx Sentinels. The central chamber housed a pyramid-shaped structure described as being "five times the height of the Great Pyramid of Giza", which was composed of the "eye" spheres of the Sentinels. Every six seconds a sphere from the apex of the pyramid ascended in a shaft of silver light. When the spheres emerged, they had been assembled into a complete Onyx Sentinel. The facility was heavily defended, with clouds of Onyx Sentinels hovering over the construction plant. The factory produced a new Sentinel every six seconds, quickly making enough Sentinels to combat any known threat. The factory was accessible through the local teleportation grid, and several teleporters were located across the facility for rapid transportation. The manufacturing plant was later destroyed by SPARTAN-IIs and IIIs to halt the production of Sentinels on Onyx. 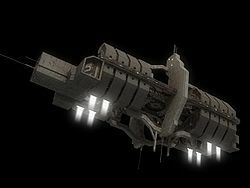 The shield world known as the Etran Harborage, discovered by the crew of the UNSC Spirit of Fire in 2531, had several types of underground Sentinel factories, which created Sentinel Aggressors and Protectors. Closeup of a sentinel manufacturing facility in Halo 2. Two Sentinel production facilities as seen in the Halo 2 level, Sacred Icon. A Sentinel production facility near Installation 05's Library. The wreckage of a Sentinel manufacturing facility in Delta Halo's quarantine zone. A closer view of the crashed Sentinel factory. The interior of the crashed Sentinel factory.